When considering an arbitration agreement or reviewing one that has been tendered by a contracting partner, there are certain key elements that must be carefully negotiated. In this article, we discuss the three essential aspects of a good San Diego arbitration agreement. The first essential term to negotiate is the scope of the arbitration. 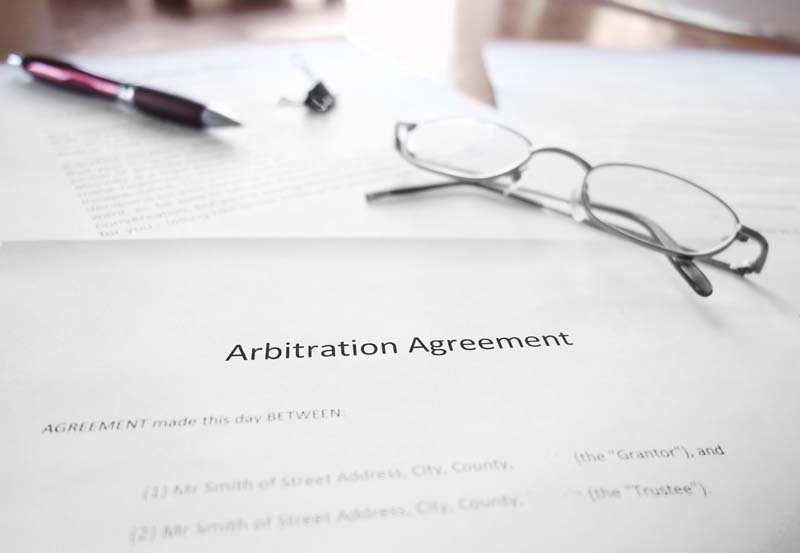 Often, business owners assume that arbitration will cover “everything,” but that is not the law and is not necessary. What is subject to arbitration is entirely within the discretion of the parties. Arbitration can be strictly limited to very narrow issues or be very broad ones. Even the question of whether some dispute is subject to arbitration can be given to the arbitrators to decide. When negotiating an arbitration agreement, special attention should be paid to the scope. The next essential aspect to negotiate is what might be called the “mechanics.” This is actually a cluster of specifics such as location of the arbitration, timing, time limitations, notice provisions, host organization, governing rules, number of arbitrators on the panel and (where applicable) the language to be used for the arbitration. Often these are easy to negotiate depending on the circumstances. If all parties are in San Diego or surrounding areas, the agreed-upon location is likely to be San Diego. However, if one party is in San Francisco, location might become contentious. In general, the parties involved in arbitration pay the costs as the arbitration proceeds. The main costs are to the organization hosting the arbitration and the hourly/daily fees charged by the arbitrator. If there is a panel of arbitrators, each member of the panel will be charging hourly or daily fees. When negotiating an arbitration agreement, it is essential to agree up front on how these costs are paid. Most often, the costs are split. With consumer contracts, it is dangerous to provide for equal cost sharing because courts deem that unfair and the basis for unconscionability. Furthermore, potential cost is one reason that your contracting party might refuse to agree. Another area where cost should be negotiated involves experts. If it is likely that arbitration will involve an appraisal, it is wise to negotiate up front who pays for the appraisal. Is the cost shared or is the appraisal cost borne by one party or a third party? An example here might be an arbitration provision in a corporate buy-sell agreement. An appraisal is often used to determine the buy-out price. The appraisal can be paid for by the company, can be shared or can be charged to the owner who is seeking the buy-out. For help drafting or reviewing your arbitration agreements, please contact Michael Leonard, Esq. of San Diego Corporate Law. Mr. Leonard has been named a “Rising Star” four years running by SuperLawyers.com and “Best of the Bar” by the San Diego Business Journal. Contact Mr. Leonard via email or by calling (858) 483-9200.